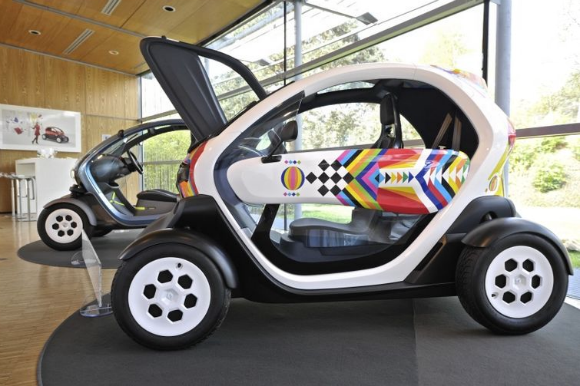 Renault TWIZY, takes its name from the combination of two words: Twin and Easy. Presented in its definitive form at the Paris Motor Show in 2010, Renault Twizy was designed from the outset as an ultramobile all-electric two-seater vehicle for the modern urban environment. 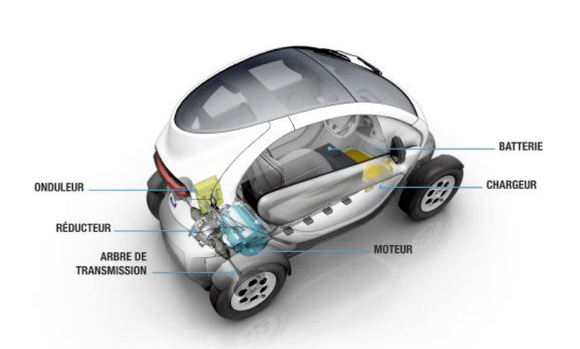 Although its compact dimensions are likely to prompt comparisons with the world of scooters, Renault Twizy possesses all the fundamentals of a car: a chassis with four wheels, a steering wheel, pedals, and an enveloping body for two occupants sitting in tandem, one behind the other. It sports an open frame with distinct curved lines, a windscreen and roof forming a large glazed area, as well as lights creating an unique lighting signature resembling a futuristic face on the front. Optional gull wing doors complete the look. Twizy 45 ships with a 4 kW (5 hp) motor, torque of 33 Nm, speed limited to 45 kph. Renault Twizy is built at Valladolid (Spain). 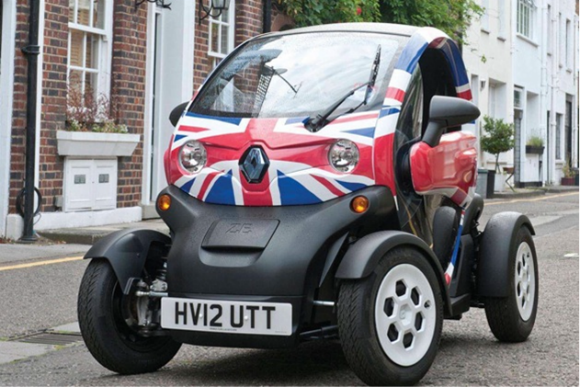 Twizy is on the right track. However, although the vehicle being very narrow, it cannot still go through the lines of cars stuck in traffic. That negates its prime similarity to the common scooter. You cannot also park it anywhere since it is larger than a scooter. That negates the second. The car is available with three models, starting at 6,990Eur up to 8,490Eur. The sales price does not include the batteries, which can be leased for a monthly fee (around 50Eur) that includes a replacement guarantee - in case of battery breakdown or insufficient capacity - and a roadside assistance. Those prices do not include the cost of electricity. As you can see it still fares a bit more expensive than your ordinary medium range motorcycle, and closer to the price range of a Smart car. Read a hand-on review here.